The survivors from Days 1A and 1B were brought together earlier today to take part in the first Day 2 of the ongoing WSOP 2013 main event. Having crammed over 1,890 players into the Rio for Day 2A, the day’s ten levels of action saw a slew of pros hit the rail while the likes of Nick Schwarmann thrived. 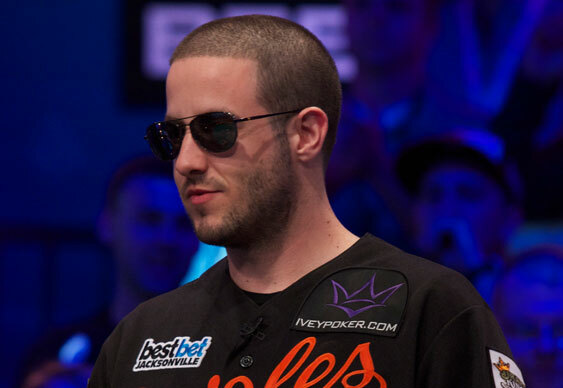 Indeed, as Schwarmann topped the final chip counts with a stack of 413,600 ahead of such luminaries as Rupert Elder on 342,500, Greg Merson (pictured above) with 275,600 and Doyle Brunson holding 224,000, other notables saw their WSOP dreams fade away. Among the session casualties was former champion Chris Moneymaker after he ran his A-J into the pocket aces of Ivan Mamuzic during final level of the day. Joining Moneymaker on the rail was a number of tournament regulars including Eugene Katchalov, Gaelle Baumann, Joe Cada, Matt Salsberg and Johnny Lodden. When the tournament clock finally stopped on Day 2A just 562 players made it through to Day 3, which will kick off on Friday.